Owner operators working with Cool Runnings Ltd. seem to be doing a little better financially this year, but company president Fred Plotsky would still like to see a more robust economy. Based in Kenosha, WI and observing its 29th anniversary this month, Cooling Runnings has the majority of its business hauling produce out and California and the Northwest. Plotsky cites lower diesel fuel prices as a primary factor in produce truckers doing better this year. Despite less money going for fuel, the owner operators his truck brokerage works with are saying they still need $2 per mile as freight rates continue to struggle keeping up with the increasing cost of operation. Cool Runnings has a history of working on a regular basis with the same produce truckers. The company provides advances to drivers, but Plotsky says one sign they are doing better, is fewer advances in pay are requested. “This leads me to believe the drivers have more money in their pockets,” he says. Still, Plotsky knows that excessive rules and regulations on the trucking industry are taking its toll. For example, he points to the electronic logs being pushed this year by the Federal Motor Carrier Safety Administration (FMCSA). “A lot of the older guys are not going to plug it (electronic logs) into the engine. They are saying, ‘you know what, I’m not going to do this, and they are hanging it up,” Plotsky says. While implementing electronic logs is not that complicated, he says it is matter of excessive FMCSA government oversight. 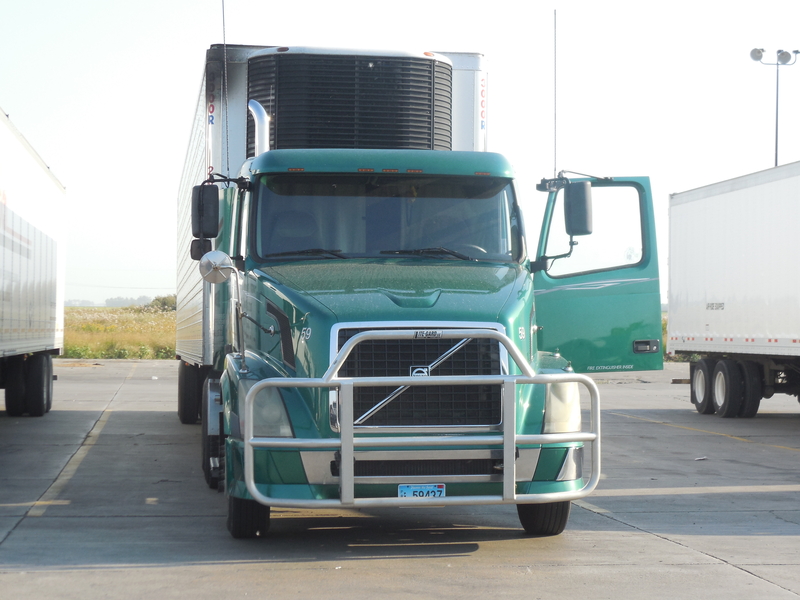 His truckers generally feel they are doing a good job of providing service and doing it safely. They are not hurting anyone, and trucking legally for the most part. At the same time, Plotsky notes in produce trucking it is a challenge when there are so many multi pick ups. Delays at loading docks make it more difficult to operate legally. Yet, drivers are going to have to find a way to do this when the electronic logbooks become mandatory. “With the multiple pick ups and delays in loading, it makes it a challenge to make on time deliveries. If you don’t get out of California on Monday night or early Tuesday morning, you can’t make it to Chicago on Friday. You can drive it, but not legally,” Plotsky concludes. Wishing you a Happy, Healthy and Prosperous Year! In January HaulProduce.com marks it 4th anniversary. During this month we will have posted on the website 1,000 produce trucking reports and other news items and features. 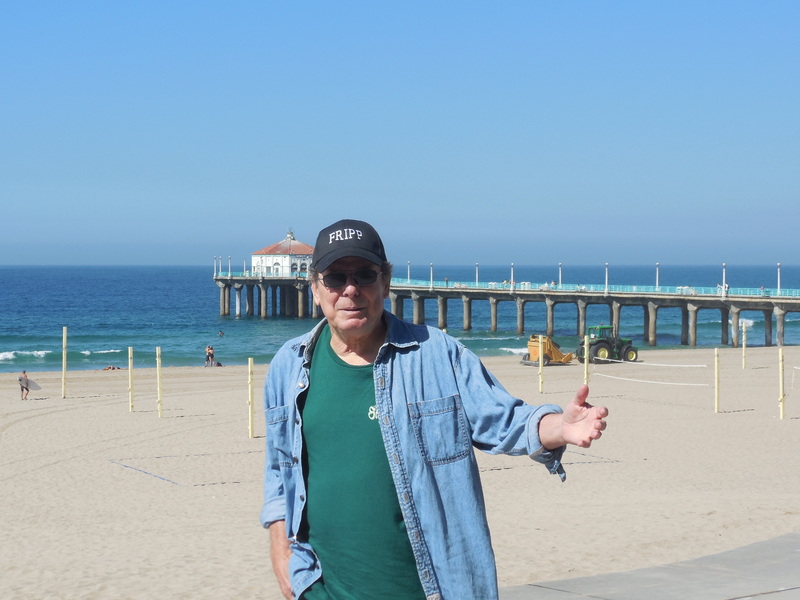 This sojourn began in September 1974 as I began learning all I could about the produce and trucking industries and combining those two interests with what eventually led to creating the Produce Truckers Network. During its 20-years on the air it was broadcast on over 60 radio stations across the U.S. and Canada, before becoming a part of satellite radio for four years. The essence of those radio reports continues to be viable to this day, as it re-emerged as HaulProduce.com. It is very encouraging receiving the regular phone calls and e-mails saying the website is providing informative, useful information, whether it comes from owner operators, small fleet owners, carriers, or third parties. Ironically, when I entered this industry it was a period leading up t0 the deregulation of the trucking industry. Unfortunately, this “deregulated” industry has to deal with more stifling regulations than ever. After four decades of relationships established in both the trucking and produce industries, and collecting a wealth of information scattered throughout the internet, providing information you can use in your business continues to be a priority. A special thank you goes to TransFresh Corp. that provides the Techtrol CO2 process that extends shelf live of berries and other items in-transit, thus reducing the chances for claims or rejected loads at destination. Another special thank you to truck brokerage Cool Runnings. I have known Rich Macleod of TransFresh and Fred Plotsky at Cool Runnings for decades and deeply appreciate their sponsorship since day one of this venture. Both companies represent the finest in business ethics and practices. We are looking forward to more companies are coming aboard in the New Year. However, without you, our readers and subscribers, none of this would be possible. Thank you so much for your continued support. As we embark on 2015, this is wishing you a Happy, Healthy and Prosperous New Year filled with safe travels. NewsCool Runnings , feature , HaulProduce.com , Produce Truckers Network , produce trucking , Scout Logistics , Techtrol , TransFresh Corp. In recent years there has been increased interest by shippers in using the rails to deliver fresh produce, in part spurred by the increasing costs of trucking. 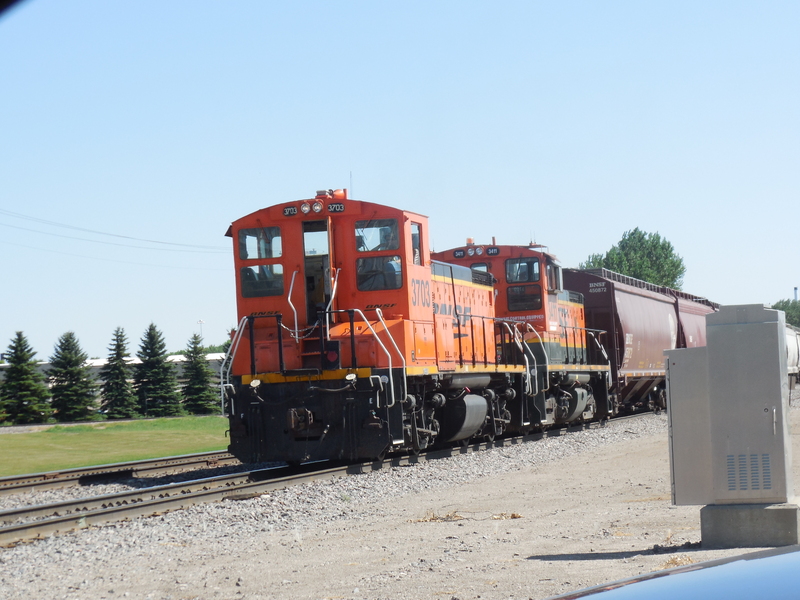 This is nothing new since various types of rail service, whether using refrigerated rail cars or piggy trailers, has been tried since at least the 1970s. But after a long lull, some new services have been introduced. We’ll get more specific on these in a future feature story. For the time being, here are some observations by veteran individuals whose focus is on transporting fresh fruit and vegetables by truck, and their take on the efforts to increase rail service. Kenny Lund, vice president of the Allen Lund Co. of LaCanada, CA notes rails only account for one to two percent of the fresh produce being shipped. There are only so many tracks and it would take billions of dollars worth of equipment to increase produce volume rail to say, four to eight percent. Fred Plotsky is president of Cool Runnings LLC of Kenosha, WI. He says new services such Rail Logisitics Cold Train, a rail operation based in Overland Park, KS, bases its freight rates on truck rates. “The rails understand the market and they are taking advantage of it. Cold Train….will set a rate of say $3600 when the truck rate (to the same destination) is $4000,” Plotsky observes. Then when the truck rates increase to $4500 or $4600 Cold Train will increase its rates accordingly. “Their service (Cold Train) is good and you can load them Monday for delivery Friday 0ut of Washington or California to Chicago,” he says. However, Plosky adds if a shipper has a mixed load of produce spread out over 100 miles with three pick ups you are not going to use that rail service. Now if the rail service involved is a straight load or two pick ups in the same town, that is feasible. At Des Moines Truck Brokers in Norwalk, IA, President Jimmy DeMatteis says they have working relationships with companies using the railroads. “But there have been problems with claims. With some loads the rails don’t want to take responsibility for it. There’s not enough rail equipment yet and the rail infrastructure is poor. But the rails are making inroads,” DeMatteis says. 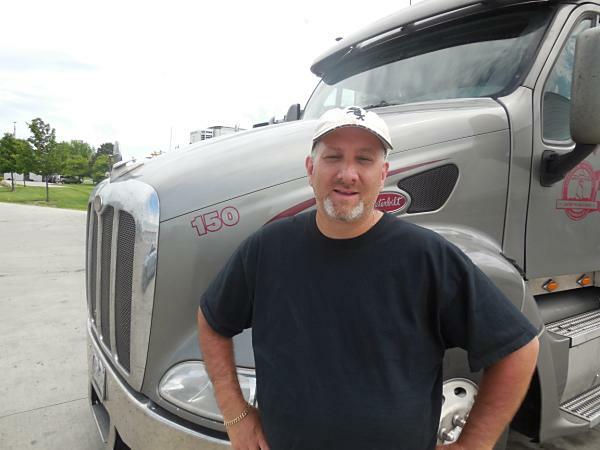 Doug Stoiber is with Raleigh, NC-based L&M Transportation Services. The company vice president had expected a “greater impact” from rail related companies such as Railex LLC of Rotterdam, NY, that partners with the Union Pacific Railroad and CSX Transportation. “Railex is successful and they are growing and they are encouraging some competition. I’m surprised they haven’t taken more truck loads of freight off the highways than they have,” Stoiber states. He notes 98 percent of all consumer goods are delivered by truck and about 95 percent of produce is handled by truck. Stoiber says while the rails can take a lot of long haul produce off the highways, instead of “eliminating” transportation, it tends to “re-arrange” the movement of product. “You still have to pay (a truck) for that first mile and the last mile, because the rails can’t deliver to the store doors or distribution centers, at least not yet. The cost comparatively for that first mile and that last mile is a lot higher than if it is delivered from shipping point to destination on a truck,” Stoiber says. How green is green when it comes to enviromental issues and dedication to those issues? Is the size of that so-called carbon foot print what it appears? While it can be a mixed bag, what is certain is that truckers are being affected by changes and polices. For example, one of the biggest changes coming sooner than we may think is noted by Doug Stoiber, vice president of L&M Transportation Services, based in Raliegh, NC. Currently the fuel delivery industry in playing catch up, he notes, in developing the infrastructure to service natural gas trucks. Stoiber points out truck manufacturers are lining up to purchase the the new 12 liter Cummins natural gas engine. Jimmy DeMatteis, president of Des Moines Truck in Norwalk, IA agrees. But there’s another side to the “green” issue that often doesn’t receive the attention. As the president of Cool Runnings LLC in Kenosha, WI, Fred Plosky makes an observation about the produce industry and how it sometimes approaches transportation from an envirnomental stand point. “…their (produce) buying intiative isn’t nessarily in agreement with their corporate initiative,” Plotsky observes. For example, he had a couple of customers that requires Cool Runnings to be a part of Smartway, a voluntary environmental program for trucking. “While they are saying you need to be a part of Smartway and you need to watch your carbon foot print, they don’t run their business that way,” Plotsky relates. A Cool Runnings hired truck has had to run an extra 100 miles out of route to pick up nine packages of fruit, because the buyer was wanting to buy the fruit direct (from the shipper) and save money. “The buyer won’t consolidate this to two pick ups in the same town and then buy those nine boxes off the street (from a wholesaler) in Chicago for an extra $3 a box, as opposed to routing the truck and paying $255 for going up (to the shed) , $55 for the pick up and paying $310 more for those nine boxes. What does that do for your carbon foot print?” Plotsky asks. Kenny Lund, vice president of the Allen Lund Co. in LaCanada, CA says another anti-environmental policy relates to each state having a different fuel blend. He says this is “killing the refineries” and there needs to be a national fuel blend when the conversion is made twice a year for summer and winter weather. Lund recalls a trucker who said it best when it comes to the rules and regulations affecting transportation. Fred Plotsky and his staff at Cool Runnings arrange about 8,000 loads a year. He sees the biggest issue facing trucker is financing, followed by the rules and regulations on the trucking industry. The president of Cool Runnings, based in Kenosha, WI, says truckers are facing rising costs with everything from tires to fuel and labor. An engine overhaul that was $13,000 two years ago now costs $20,000 to $21,000. The mechanics who work on those diesel engines have hourly rates that have increased from $60 to $100 per hour. While the produce rates have gone up in recent weeks, the price of disel fuel remains high as well. For example, Fred says a truck averaging five miles per gallon, running 3,700 miles per week, at today’s diesel prices, that is costing $3,000 a week, which is hard to finance. While Cool Runnings charges a two percent fee for advances on loads, Fred points out a lot of truck brokers charge three to five percent. It used to be the average cash advance was around $500 to $700 for the fuel to cover a trip from Idaho to Chicago. The advances are around $1,500. “You are talking two percent of $1,500 when it used to be two percent of $700. The truckers have to find a way to finance this themselves, while the others who do not figure it out fall by the wayside,” Fred says. One example of excessive government interference, Fred notes, are the CARB (California Air Resources Board) rules in California. The requirements, some of which have to do with reducing emissions, increase the costs of operation and is make it very difficult for truckers to comply, much less continue to operate profitably. He knows one trucker who delivers freight to Utah and runs to Idaho and to pick up potatoes and French fries for delivery to Chicago. That trucker receives a consistent, steady fair rate. The trucker also does not have to comply with California’s CARB rules. “Now that those rules are stabilized, just don’t keep changing them,” Fred states. Although it has been nearly 26 years, it seems almost like yesterday when I first met Fred Plotsky. I was riding in a car with a friend and business associate named Gary Robinson in Highland Park, IL during a week I was working in Chicago. Gary had just sold his truck brokerage, Cool Runnings. How would you like to meet the new owner of Cool Runnings? He’s really a great guy,” Gary asked me. In a moment, Gary had Fred dialed up on his car phone. I met up with Fred later that day and the rest is history. We have been friends ever since. Fred and I immediately found a few things in common. We both had an interest in produce trucking for starters. Both of us loved to fish. Fred goes after northern pike, especially on fishing expeditions to Canada, while this southern boy prefers the warmer climates and large mouth (you might find Fred reporting to work at the Cool Runnings offices in Kenosha, WI, wearing shorts in January). Fred also has love for listening to radio, and only a few months earlier in 1986 I had launched the Produce Truckers Network and had two radio stations airing it — WRVA in Richmond, VA with Big John Trimble and WMAQ in Chicago with Fred Sanders. Both of us are sports fans with Fred a great follower of the Chicago White Sox and the Milwaukee Brewers. He is forgiving of my support of St. Louis Cardinals. Over the years I’ve learned to respect Fred as a loving husband, great father, little league baseball coach — and a fair and honest businessman. While the produce rates have gone up in recent weeks, the price of diesel fuel remains high as well. For example, Fred says a truck averaging five miles per gallon, running 3,700 miles per week, at today’s diesel prices, that is costing $3,000 a week, which is hard to finance. It used to be the average cash advance was around $500 to $700 for fuel to cover a trip from Idaho to Chicago. Now the advances are around $1,500. “You are talking two percent of $1,500 when it used to be two percent of $700. The truckers have to find a way to finance this themselves, while the others who do not figure it out fall by the wayside,” Fred says. He knows one trucker who hauls potatoes and french fries between Idaho and Utah. That trucker receives a consistent, steady fair rate. The trucker also does not have to comply with California’s CARB rules. Although it has been nearly 26 years, it seems almost like yesterday when Ifirst met Fred Plotsky. I was riding in a car with a friend and business associate named Gary Robinson in Highland Park, IL during a week I was working in Chicago. Gary had just sold his truck brokerage, Cool Runnings. “How would you like to meet the new owner of Cool Runnings? He’s really a great guy,” Gary asked me. In a moment, Gary had Fred dialed up on his car phone. I met up with Fred later that day and the rest is history. We have been friends ever since.